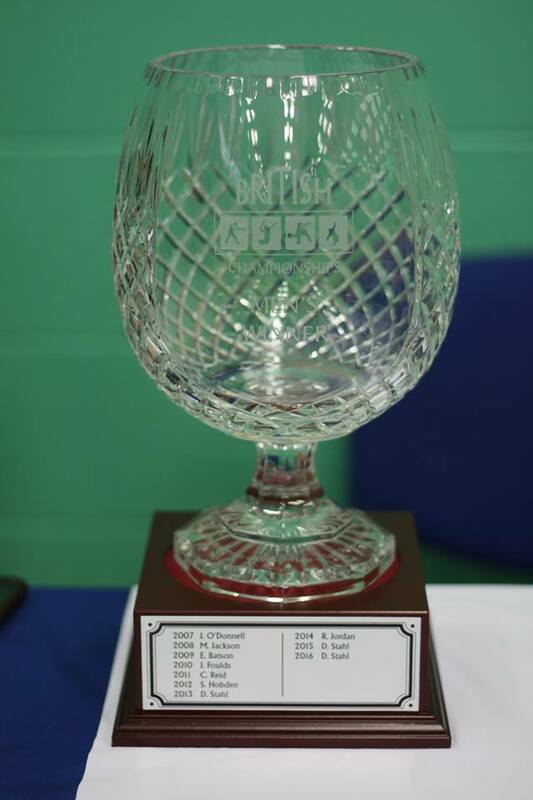 GB star, Hannah Boden will be aiming for her fifth consecutive British National Title at the 2019 Racketlon British Championships, while her fellow University of Nottingham student, Leon Griffiths will be aiming for his personal hat-trick, a chance to be the first man to do so in the A draw, when play begins this coming Saturday, 13th April at the Parklangley Club in Beckenham, London. The draws and match schedules can all be found here. 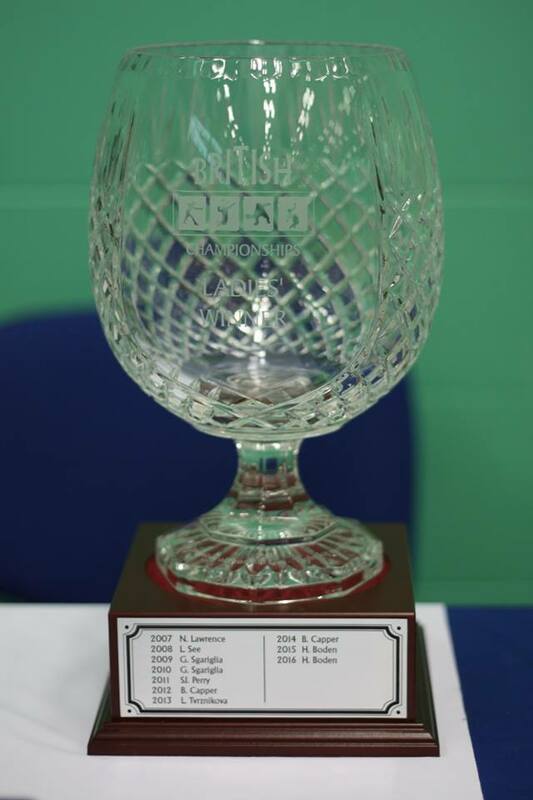 The British Championships is also the second round of the UK Racketlon Super Series, and you can recap on this event here. Hannah may have the pressure of making history on her shoulders, but she starts as a heavy favourite in the Women’s A at this year’s British Championships. Hannah will begin her campaign against Lindsay Johnson-Farge and will meet the winner of Marina Zabell & Dianne Baker in her semi-final. It is perhaps the bottom half of the draw that has the greater intrigue. Second seed Matilda Parslow continued her rapid ascent through the sport last weekend, when she sealed the Women’s B title at the Czech Open in Prague, in addition to the Mixed B Doubles title (with Johnny Bispham) and the Women’s B title (with Dianne Baker), breaking out on the world tour in similar fashion to how she has broken out onto the UK Tour over the past 18 months. However, she could meet the 2018 Women’s B Czech Open champion in the semi-finals, Kim Hay. Should Matilda defeat Leanne Yip and Kim defeat Kathryn Schutterlin, then a fascinating semi-final awaits between these two Czech Open champions! It is four familiar faces who are seeded at the British Championships with Dan Busby, Alex Du Noyer, Luke Barnes and Jack Bishop seeded 1-4 respectively. You may quickly question why defending champion and top Brit Leon Griffiths is unseeded, but his lack of play on the UK Tour in the past few months meant he had dropped off the rankings and therefore could not be seeded! Away from the seeds and there are a couple of talented juniors taking their place on merit in the draw with Matthew Davidson and Ross Wilson both facing an opening challenge against Alex Du Noyer and Jack Bishop respectively. In the top half of the draw, top seed Busby will be made to work hard in his opening match as he takes on Jordan Dainty, while third seed Luke Barnes drew the short straw in the form of unseeded Leon. Luke vs Leon is the tie of the round and while Leon maybe many people’s favourite for the title, Luke is certainly a player who can defeat Leon on his day and Leon will have to start sharply to avoid an upset. Elsewhere, there will be the (seemingly) annual fixture between Duncan Stahl and Ray Jordan as the FIR President is pitched against the UK Racketlon Chairman. Both titans of Racketlon administration are previous winners of this title and sitting in the bottom half of the draw, both could realistically consider the chance of a spot in the final given their favourable records over the seeds in this section. The remaining opening ties will feature a TT battle as Jon Spinks faces Keith Lesser, while Will Coley vs. Peter Browning and Johnny Bispham vs. James Langworthy are a brace of matches were each player is guaranteed a decent win and a decent defeat in a sport, so it will become a numbers game in the remaining two sports. David Bennett claimed a maiden World Tour U21s title last weekend at the Czech Open, but he will be made to work equally hard at the British Championships if he is to claim a first British National Title in this age group. Ross Wilson, who has been on a hot streak in recent months, with three consecutive third place finishes in Men’s A events will be a tough opponent. Ryan Bezer and Thomas Andrews complete the quartet in this four player round robin, that will test our U21s to the limit. There are 12 juniors in the U16s, with Will Gregson, Matthew Davidson, Will Taylor and Angus Howard already through to the quarter-finals, with a mix of newcomers and experienced campaigners keen to join them at this stage. Finally, a Girls U21s event will take place, a straight shootout for the title between Alexandra Ogram and Claudia Vincent! Three Veterans titles are up for grabs this weekend with Men’s and Women’s O45s and a Men’s O55s titles. For the O55s, it is a simple 8 draw monrad headed by top seeds Martyn Langston and Nigel D’Arcy. Nigel has a brutal opening match as he faces previous champion Duncan Marlow. Nigel himself is a two time winner of this title and both men will be eager to add to their title hauls. Meanwhile Martyn begins against our American based Brit, Andy Stenson. Tour regulars such as Alan Plater and Geoff Jordan are joined by Steve Hall and Tony Brown in completing this draw. Box leagues await for the Men’s O45s each headed by a seed in the shape of Simon Lau and Lee Gregson. However, both seeds face a dangerous challenge in their boxes, Simon will have to overcome Mark Steeden if he is to make the final showdown, while for Lee it is the squash prowess of Jeremy Krzystyniak. Gary Jackson & Dave Stepney will also be seeking to upset the seeded players applecarts. It is a three lady round robin in the Women’s O45s, as the experienced trio of Jane Galsworthy, Dianne Baker and Sarah Ball all hoping to claim the crown. In addition to these singles draws, there will be Men’s B, C & D draws, a Women’s B draw and six doubles draws in what is certain to be a brilliant weekend at the Parklangley Club. Our very best wishes to all competitors!